The Nike Air Foamposite Pro Hyper Cobalt is another former Ben Gordon exclusive Nike Air Foamposite Pro colorway that will be debuting this August 2016. 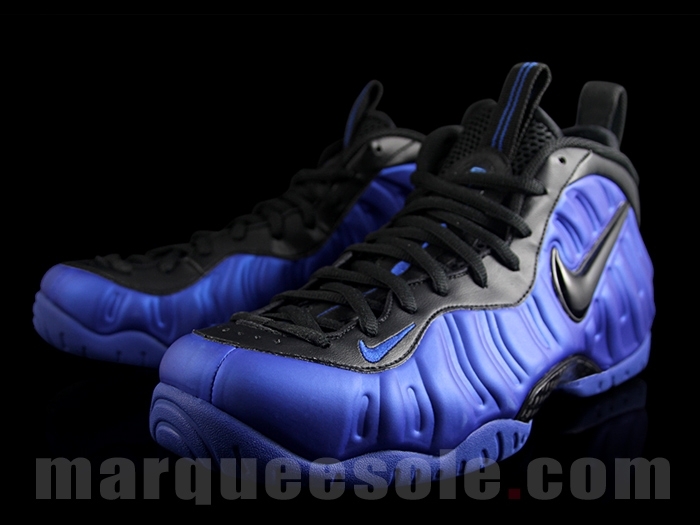 Staying true to its original PE, this Nike Air Foamposite Pro comes dressed in a Hyper Cobalt and Black color scheme. The shoe features a Black leather eyestay, with a full Hyper Cobalt Blue Foamposite shell, a Black jewel Nike Swoosh on each side sitting atop a matching Hyper Cobalt rubber outsole. Check out the detailed images below and look for this Ben Gordon inspired Nike Air Foamposite Pro “Hyper Cobalt” to release on August 25th, 2016 at select Nike Sportswear retail stores. The retail price tag is set at $230 USD. UPDATE: The Nike Air Foamposite Pro “Hyper Cobalt” is now arriving to retailers like Sneaker Politics for its official launch on August 25th. UPDATE: Nike releases official images of the “Hyper Cobalt” Nike Air Foamposite Pro. UPDATE: Additional on-feet images of the Ben Gordon inspired Nike Air Foamposite Pro via @sneakerer.